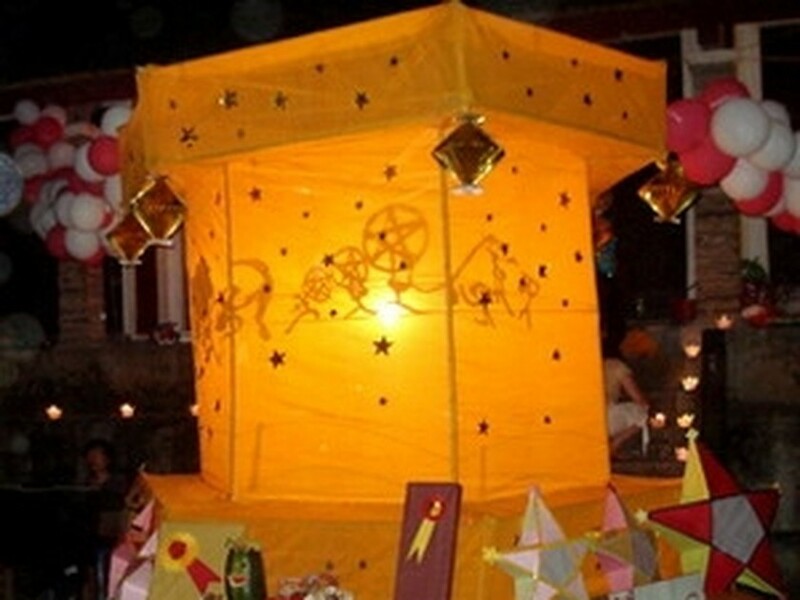 Children from kindergartens and primary schools will welcome the Mid-Autumn Festival in Hanoi on September 9-12 with a giant lantern that is expected to be nominated for the Guinness book of records in Vietnam. The lantern measures about 2.17 metres in width and 3.17 metres in height. It was made by artisans in the traditional bamboo and rattan weaving village of Phu Nghia in Chuong My District in Hanoi. The Mid-Autumn Festival is being organized by the Vietnam Culture and Arts Exhibition Center and the Hanoi Folk Arts Association. 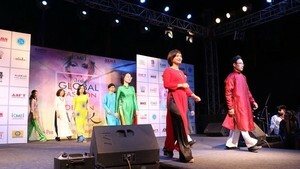 The festival will include a series of cultural activities such as water puppetry performances, kylin and dragon dances, calligraphy and painting shows; exhibitions on colorful lanterns and Vietnamese folk toys, replicas of rural landscapes including the banyan tree, Little Cuoi ( a character in a Vietnamese folk tale) sitting on a buffalo and playing the flute and the beautiful lotus flower. One of the highlights will be a parade from Tay Son Primary School, along Le Dai Hanh, Dai Co Viet and Hoa Lu streets and ending at the Children Cultural Palace in Hanoi. The full moon night festival will take place in the evening on September 10 with participation of more than 600 people from traditional handicraft villages, Vietnam Circus Federation, Viet Tiep Friendship Cultural Palace in Hai Phong and children from kindergartens and primary schools.